Health and Indigenous Medicine Minister Rajitha Senaratne yesterday warned that dengue numbers could worsen in future and that proper waste management could help control the situation. Cabinet this week approved a proposal put forward by the Prime Minister on a program “to have disposal of waste to recognsed lands under environmental laws, take judicial action to prevent public protests on waste disposal, waste to be disposed only by grading, provide necessary tools for local government authorities and increase awareness of the public with regard to waste”. Addressing the weekly cabinet briefing yesterday the minister stressed that the government was working on controlling the garbage issue and denied reports that local government was not performing its basic duties since they were dissolved two years ago. “In 2009, we had one of the worst outbreaks where number of deaths was 1000:1 but in 2015 we had the lowest numbers and there were no local government members. When we had local government members, they did not pay much attention to this. It is true that if there are one or two good members, it would be easier as there are only officials now but statistically you cannot say local government members control the situation better”, Minister Senaratne said. “Dengue will get worse as flood waters recede further. This happened last year too”, he said. The minister also stressed that climatic conditions too attributed to the break and the government alone could not be blamed, “Between June and July monsoons there is a peak, again it will come in October and November”, he said. He further explained that the Ministry had conducted various dengue detection programmes, purchased 500 fogging machines and hired 500 personnel for the eradication programme in the Western Province alone with another 1000 expected to be hired to cover the rest of the country. “Our healthcare system works and it is due to that, that we were able to decrease number of death in 2009 from 1000:1 to 1000:0.3 at present. With proper waste management we should be able to control it”, he said. 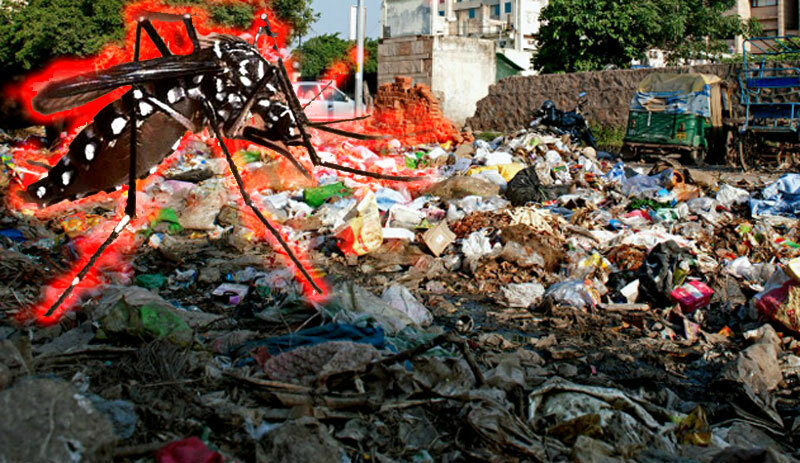 The Industrial Technology Institute (ITI) has done research on a new variety of herbivorous mosquito which does not attack humans, “Their larvae are seen to eat dengue mosquito larvae”, Minister Senaratne said. He has also spoken to his Australian counterpart over a bacteria developed in Australia which can kill dengue mosquitoes.He said they will help establish contact between local and Australian researchers by the end of this month at least. As the Minister faces a losing battle with dengue, he stressed that awareness alone could not solve the issue, “This is not like Malaria or Filaria, dengue mosquitoes can breed in even in the smallest places. We also found that 80 percent of breeding sites are within homes not outside, so people need to pay more attention. In addition, one ministry alone cannot do this, all should come together and waste management should go hand in hand here”, Senaratne said.